Cato and Clove. . Wallpaper and background images in the The Hunger Games Movie club tagged: the hunger games movie cato clove. This The Hunger Games Movie photo might contain outerwear and overclothes. 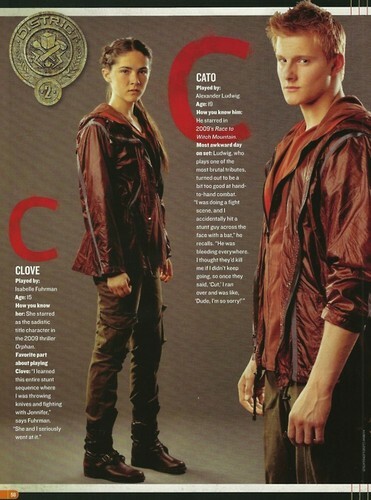 Cato and Clove from District 2, they were star-crossed lovers, but no one new.